Are you remodeling your kitchen but can’t find enough space to fit in all the things you desire so much to put in? This is one of the main problems that almost everyone faces when they run short of spaces to put their utensils or install new cabinets at. Now before you contact an expert interior designer, there might be some hacks that you can do by yourself to make your small kitchen roomier and more utilizable. Following are some of such hacks. If you love making food, then you most likely will have a lot of pots, which can take a lot of space and put them in cabinets mean you will only consume more space of other utilities, so get a hanging pot rack installed on the wall. Just like the walls, you should also make good use of the ceiling. You can use the ceiling to install the hanging pot racks as well. Mind the space for walking so you won’t bump into them in a hurry. Use all the walls more properly. Use steel shelves, hanging wall cabinets and towel bars. Since these all are used more occasionally, you can have them installed behind your station. The side of the cabinet always gets ignored, and that is why you should utilize it more effectively but using it for hanging pots and other utensils and such. Rather than setting them in the cabinet, you can install a wooden rack on the wall where you can set all your cups which is a more efficient use of the side of the cabinets. This is where you might need to use one of the Kitchen installation services so that you can get custom drawers made out. These will help you in storing more stuff at a time than before. 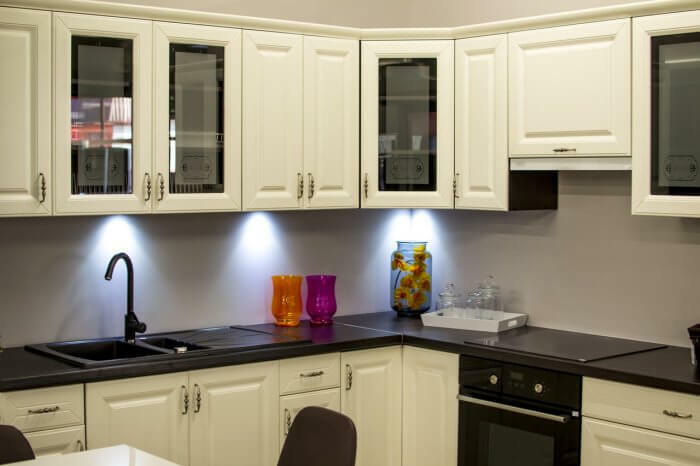 When you get your cabinets installed, you should also get racks installed on the inside of their doors so that you can utilize the free space there as well. This might be a bit creative. Rather than getting a knife rack which would only occupy more space, it is better to get a magnetic sidebar which would hold all such metal utensils for you. Your fridge door can also come in handy. You do not need any modification from any of the kitchen installation companies. You can simply buy magnetic holders which would hold spices racks for you. It is a great idea to opt for this utility. This way, you will save not only space but also time. However, it is better to get a removable option rather than a fixed cutting board. Prev7 Useful Tips to Save Indoor Space!